When we're in a city with a market it's easy to organize our day. The market has to be the first destination, and then we head to whichever on our list of sights is closest. Zaragoza's covered market is a beautiful building reminiscent of Mercat Colon in Valencia, but unfortunately it was in the process of being renovated. Bummer. The temporary replacement was a block away, but it was overcrowded and devoid of atmosphere, with barely anything to eat. Just a few steps from the rear entrance of the temporary market is Plaza de la Seo, which is one of the most breathtaking public squares that I've seen in Spain. At the eastern end is the tall Mudéjar belltower of the Zaragoza Cathedral, La Seo del Salvador. Occupying most of the north side of the square, bordering the river, is a far more impressive structure than the Cathedral. The Basílica de Nuestra Señora del Pilar is the tenth largest Christian church in the world. The square that these two churches preside over is elegant and unique. At the western end of the Plaza is the magnificent Fuente de la Hispanidad, which was constructed in 1991 as a part of the most recent remodel of Plaza de la Seo. Water runs down a concrete incline and spills over a jagged rent in the otherwise smooth surface into a pool. The water then runs underneath a walkway into another pool with a strange irregular shape. I didn't learn until later that the open space in the fountain including the pools forms the shape of Central and South America. Behind the fountain is yet another church, the stately Iglesia de San Juan de los Panetes, this one in Romanesque style with a precariously leaning tower. Closer to the center of the square is another quirky modern sculpture, an enormous sphere whose provenance and meaning I never learned. After the sphere, the rest of the square is wide open to admire the amazing Basilica. The only building in Spain I can think of whose exterior is comparably spectacular is the Catedral de Sevilla, and I have to say I prefer Zaragoza's Basilica. Not only is it massive, but also colorful and satisfyingly symmetrical. We spent a fair amount of time trying to figure out a way to photograph the entire structure in one frame without using panorama and ultimately concluded it was impossible. Although a striking building in its own right, La Seo del Salvador seems almost like an afterthought after the Basilica. The prodigious bell tower was a conversion from the minaret of the mosque that formerly occupied the site. In the foreground of the cathedral is the unusual cubical structure that marks the entrance to the subterranean Museo del Foro de Caesaraugusta. We hadn't found much to eat in the market so lunch was becoming a pressing need. Fortunately, we were now adjacent to Zaragoza's "Tapas district", El Tubo. This small pedestrian quarter was colorful and atmospheric, although we found the restaurants to be touristy and not particularly good. After lunch we walked north until we reached the Puente de Piedra, also known as the Bridge of Lions for the statues that guard its entrances. From the bridge we had another view of the Basilica as well as the greenish, uninspiring Ebro. By this time the sun was at its peak and Spenser was sleeping on my back. Ian was passed out in the only stroller we'd brought and Cleo wasn't going to last much longer. 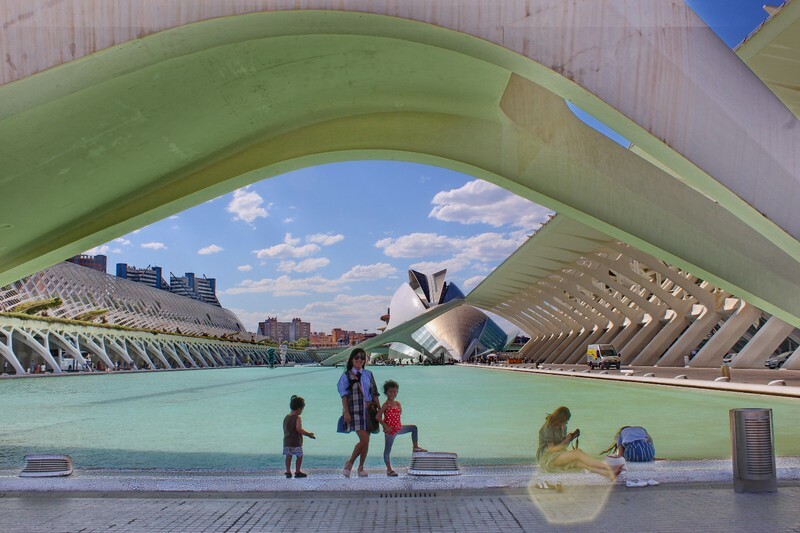 Mopping the sweat from our brows, we abandoned our plans to explore modern Zaragoza on the northern side of the Ebro and headed back to the Airbnb for siesta. In the late afternoon, once some of the heat had dissipated, we ventured back out in the opposite direction towards Palacio de la Aljafería. The Aljafería was originally a Moorish palace, but it was repurposed by the Christians after they conquered Zaragoza in the 12th century. Today the building houses the Aragonese regional parliament, although much of it remains open for visitors. It's an appealing building, but not something I would have visited Zaragoza for specifically. We had time to kill before dinner so we looked through some of the dry exhibits. It was enough to remind us why we don't drag the kids through museums when we're traveling. 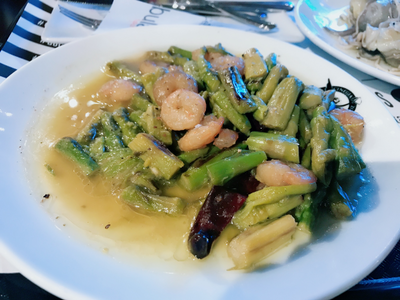 We don't usually eat at the same place twice, but there were no second thoughts about returning to Puerta Cinegia Gastronómica for dinner that evening. We weren't excited about walking all the way back from the Aljafería, so we tried our luck at the nearby bus stop. Although it was a straight line down the road to the old town, we learned that only one of the bus lines that came through would be heading in that direction. Naturally, it was the last one to come and it was packed. Mei Ling tried to shoo some people in further in order to get our stroller on but the driver waved us off. We had to walk, but the silver lining was that we found a cheap barber to lop off Ian and Spenser's shaggy manes. Puerta Cinegia Gastronómica was great again, although we arrived a little early for a couple of our favorite stalls to open. After dinner, we walked down the main pedestrian street of the old town, Calle Alfonso I, at the end of which hovered the luminous central dome of the Basilica. The only thing we saw in Zaragoza more amazing than Basílica de Nuestra Señora del Pilar in the broad light of day was the illuminated Basilica at night. The Fuente de la Hispanidad was also eerily lit up with an ever-changing series of vivid colors. If anything, the Plaza de la Seo was more busy than it had been during the day. We left Zaragoza having seen much less of the city than is typical for us. Perhaps because we'd seen so many neighborhoods in Valencia we hadn't felt the need to explore as much. We had definitely made it to all the important highlights of the central city, and I think that's likely going to remain our entire experience of Zaragoza. It had been worth the visit just for Plaza de la Seo and Puerta Cinegia Gastronómica, but there's no compelling reason for us to return. Of course, we have many years of traveling still ahead of us so there's no way of knowing for sure. On the other hand, I'm confident that we'll be back to Valencia, Madrid, and Barcelona in the future. We had to be in France by dinner time so there was no time to waste getting back on the road. It took us less than an hour of highway driving over featureless Aragonian landscape to get to Huesca. Like Teruel, Huesca was a small city with a good-sized old town. 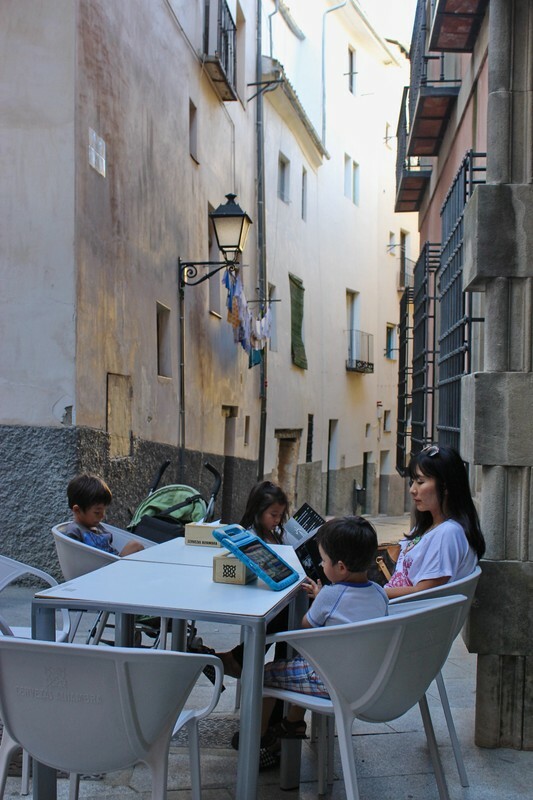 We wandered through a few picturesque alleys and squares before finding a tapas restaurant that seemed right. The central part of the old town was a rising maze of small streets that eventually culminated at Catedral de Huesca. The 14th century Gothic church is most recognizable for its ornate arched doorway flanked by stone statues of the apostles. We treated the kids to ice cream in the nearly-empty plaza before heading to our last stop of the first Spanish leg of the road trip. Castello de Loarre is just a half hour from Huesca via scenic one-lane roads. After taking the turnoff from the route that proceeds to the town of Loarre, the road rapidly ascends into the foothills of Sierra de Guara. At the highest point, a well-preserved medieval fortress commands sweeping views of Aragon's countryside. Castello de Loarre played a critical role in the reconquest of the surrounding area from the Muslims in the 12th century, and is now considered to be one of the most well-preserved Romanesque castles in all of Europe. Kids love castles, and this one had all the elements necessary to generate happy oohs and aahs from Ian and Cleo. The views from Castello de Loarre reminded me a little of Rocca Calascio in Italy, although the access here had been much simpler. There were plenty of rooms, staircases, and ramparts to explore. As we ascended into the higher part of the castle we heard beautiful music which I assumed was being played on a speaker. We arrived in a chapel and saw two people already there who had such an understated presence that it took a few moments before I realized the amazing sound was actually their voices. They were taking advantage of the acoustics of the chapel to create exquisite, resonant music. It was over far too quickly, but it was a great reminder that the most memorable and wonderful moments of a trip can come at unexpected times. By the fifth day of our trip, we were already traveling through our fourth autonomous region of Spain. These regions are not analogous to the provinces or states of other countries, such as the US or France, although the differences are sometimes difficult to understand. Anyone who keeps track of world events knows that over the years there have been significant issues related to the desire of some of these regions for complete independence from Spain, occasionally resulting in substantial bloodshed. Other regions are so closely affiliated with the central government in Madrid that their autonomy is superfluous. I won't claim to be an expert on Spanish domestic politics. Suffice it to say that Spain is a different animal from its Western European neighbors when it comes to the diverse priorities of its regional populations. Aragon has been closely affiliated with Madrid and the central Castilian regions since medieval times, a union that was formalized by the royal marriage of Ferdinand and Isabella in the late 15th century. Because of its low political profile and lack of famous cities, Aragon has generally remained below the radar of international tourism. For us, that's a positive attribute. 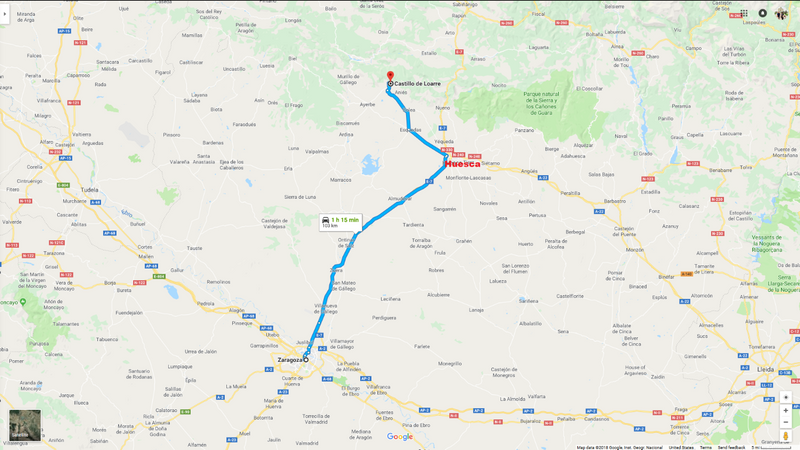 Our northward course to the French border would take us through all three provinces of Aragon: Teruel, Zaragoza, and Huesca. We arrived in Teruel towards the later side of lunch time, so our first priority was to make sure we didn't go hungry. Once we'd wolfed down some gourmet tapas at Gastrotaberna Locavore, we were able to focus on our exploration of the town. Teruel's old town is relatively small but there's more than enough to see to make it a worthwhile stop if not an overnight stay. The Iglesia de San Pedro was our first exposure to Mudéjar architecture. This movement was a fusion of Gothic and Islamic influences that came about from the period of peaceful coexistence between Catholic and Muslim populations in the aftermath of the reconquest of central Spain. This coexistence ended when virtually the entire Muslim population was expelled from Spain during the Inquisition in the early 17th century, but fortunately the Muslim-influenced art and architecture has survived to this day. The church has a polygonal apse with minaret-like towers at the vertices and a separate bell tower that looked like it had undergone a modern renovation. Some more wandering took us to Teruel's main square, Plaza del Torico. 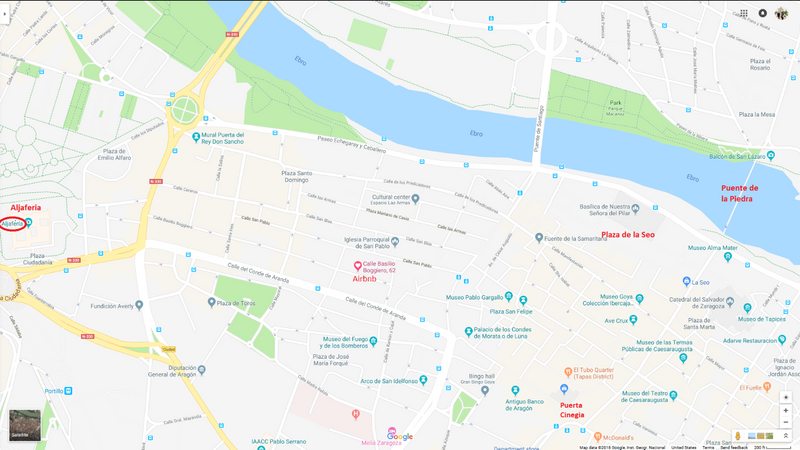 which is at the confluence of seven streets that extend into all different parts of the old town. 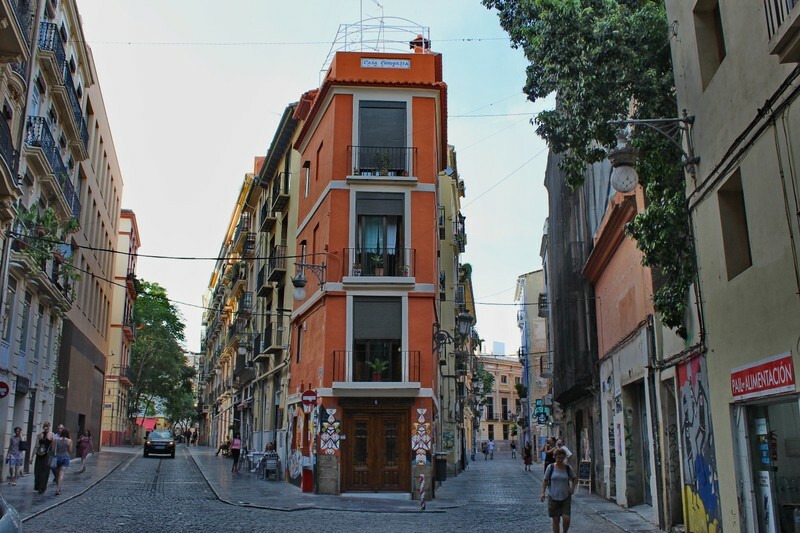 The square had buildings whose beauty rivaled the most impressive specimens of Valencia and Barcelona, especially the surreal and lavender Casa del Torico. Despite the allure of the old town, the streets were quiet and empty on a weekday afternoon. Perhaps that's why the unofficial motto of the town is "Teruel exists!". Of course, nothing makes us happier to encounter an atmospheric jewel in the middle of nowhere and have it almost entirely to ourselves. 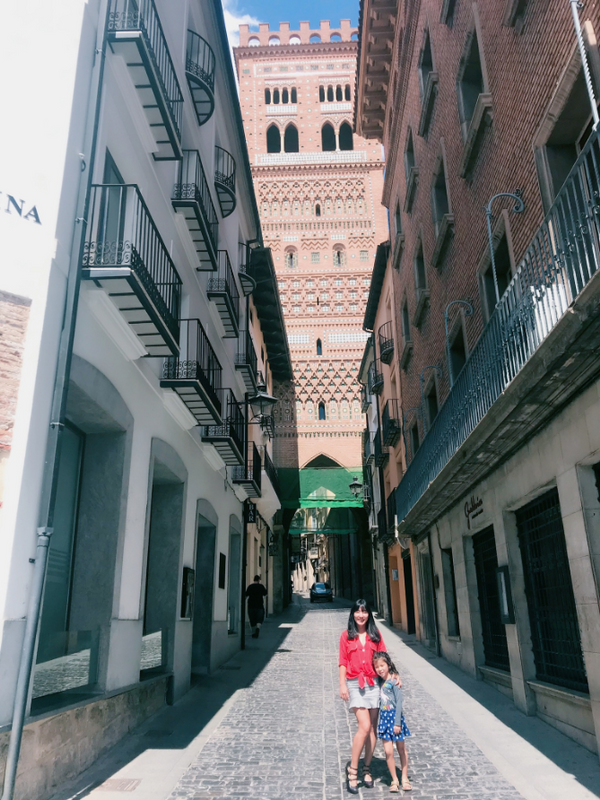 We explored more of the old town which contains several impressive Mudéjar towers, one of which is part of the Teruel Cathedral. We had saved Teruel's most famous attraction for last, the Escalinata del Ovalo. This lengthy and elaborate outdoor staircase was only constructed a century ago, but was carefully designed to complement the original Mudéjar landmarks of the town. The staircase descends from the edge of the old town to the railway station below. We didn't have the time or the energy to descend the entire way, but we got a close look at the ornate landings and intricate brick banisters. Half an hour from Teruel via a small local highway is Albarracín, reputed to be one of the most beautiful villages in Spain. 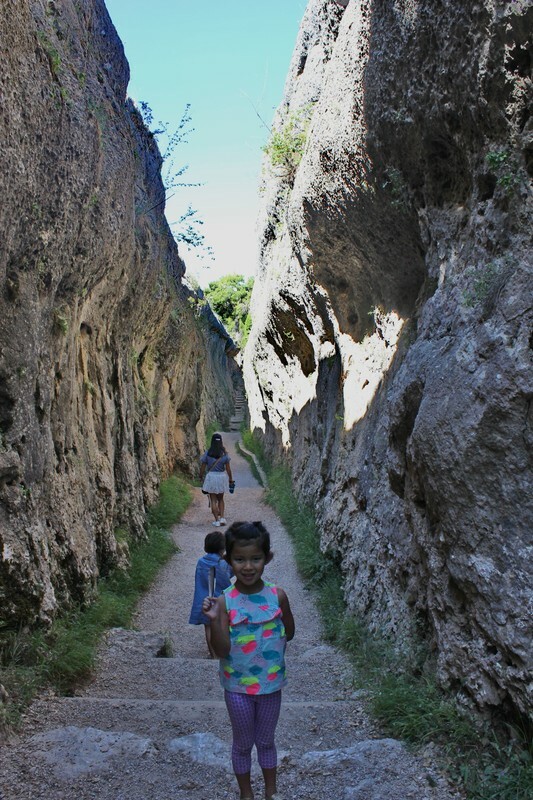 The ancient town covers a steep hill nestled in a curve of the Río Guadalaviar, with the main road passing through a tunnel underneath. Once we arrived both Ian and Spenser were sleeping so we had no choice but to strap Spenser onto my back and take a stroller for Ian. We were already winded from climbing partway up the hill once we arrived at the foot of the town. High above us we could see the old city walls at the top of a hill. Facing south from the city we had views of the Albarracín Cathedral and the Castillo. To the southwest across the Guadalaviar were the classic scrub-covered rolling hills of Aragon. Upon entering the town, we immediately found ourselves in the main square Plaza Mayor. From the square, narrow roads squiggled off upward and downward into the different levels of the town. We probably could have done more exploration if everyone was awake, but pushing the stroller up steep cobblestone roads quickly lost its appeal and we decided we had captured the essence of Albarracín. We had a typically complicated arrival in Zaragoza. A main avenue brought us to the central neighborhood of El Gancho, where our Airbnb was situated, but the GPS then directed us into a narrow alley that I worried might lead us to an impassable situation. There was nowhere to stop on the street, so I drove up onto the sidewalk and I set out on foot on my own to locate the Airbnb. I soon found it and had the host explain to me the best way to bring the car up to the door. When I got back, Mei Ling had moved the car off the sidewalk and into the bus stop on the street. Apparently the cops had come by and forced her to move, although I can't imagine why it was better to have the car obstructing a bus stop than partially blocking a sidewalk. She told me they said they would be back shortly so we hurriedly took off and made our way back to the Airbnb, where the best news was that there was a working AC that hadn't been mentioned in the listing. It's rarely simple to find parking in Spanish cities, but central Zaragoza was locked down. I drove around the local streets for about fifteen minutes but every block was lined bumper to bumper with parked cars. Eventually I realized it was futile and parked in a supermarket garage, which turned out to be the most expensive one in the area. El Gancho might not have been the best choice for parking, but it was the perfect location for getting around by foot. We didn't touch the car again for the remainder of our time in Zaragoza. 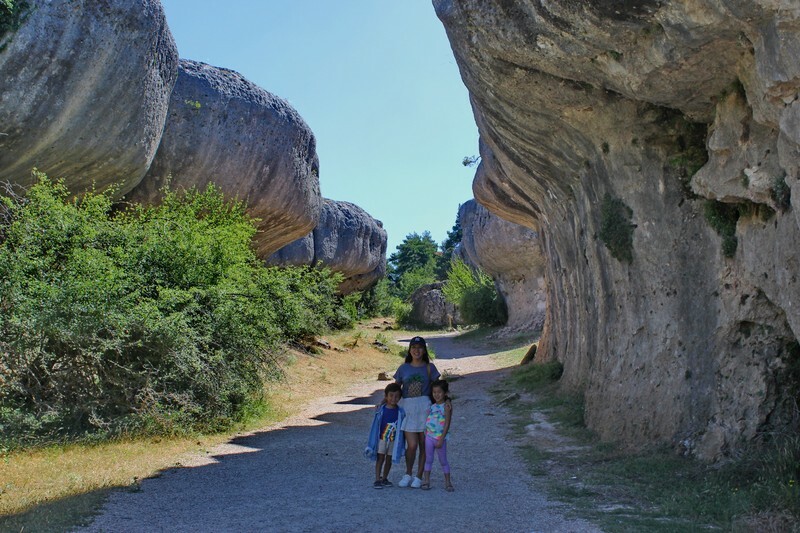 Virtually everything of interest to a typical tourist is concentrated in a narrow area on the southern bank of the Río Ebro, the major river that arises in the Cantabrian mountains and courses eastward to the Mediterranean, splitting the region of Aragon in half. A few blocks to our east was the Casco Antiguo, or old town, with the central market and the famous Basílica de Nuestra Señora del Pilar. On our other side was the Aljafería Palace. We headed in the direction of the old town to find a restaurant, passing some amazing urban artwork on the way. At one major intersection I was amused to see the first American ethnic food store I've ever encountered. Of course, it makes complete sense. In the US we have plenty of Spanish, Italian, Greek, and other ethnic markets. Why wouldn't there be an American market in Spain? Unfortunately it was closed so I couldn't find out what typical American delicacies might be. Cheez Whiz? Frozen corn dogs? We walked a couple of blocks away from the old town to find the restaurant I'd chosen from TripAdvisor, but it turned out to be full with an impossibly long wait despite the fact that it was only 8 pm on a Wednesday. I hate getting denied by a restaurant I've picked out because I can't escape the feeling that we lost our chance to have a legendary meal, and we'll never know what we missed. I wanted to retrace our steps back to the old town but Mei Ling shook her head and pointed in the opposite direction, which didn't look promising to me at all. I know better than to insist on my own plans, especially when I've just screwed up, so we headed down the wide and almost empty street Mei Ling had chosen. After a couple of minutes, we came across what looked like a little open-fronted mall with an escalator going upward. We could see clear signs of restaurant activity on the second floor and immediately realized we'd arrived at some kind of food court. Once we were upstairs, we knew we had found the most perfect possible place for us to eat. There were about a dozen stalls with every variety of Spanish food, from fresh seafood cooked to order to unusual and savory tapas such as octopus eggs. 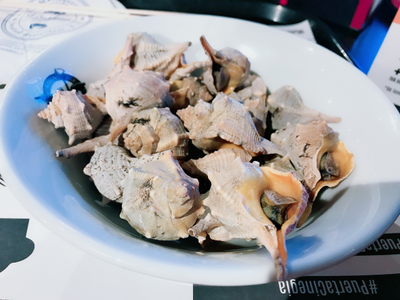 My favorite dish was the land snails, which I found crawling around a large bowl at the front counter of a tapas stall. 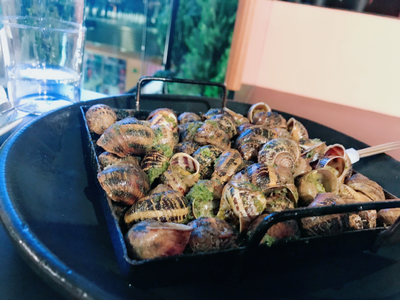 When I placed my order, the hostess scooped up a few handfuls of the live snails and had a delicious dish ready for us in about twenty minutes. My regret at being turned away from the other restaurant instantly turned to consummate relief that we hadn't missed the opportunity to eat at Puerta Cinegia Gastronómica. It was our most enjoyable restaurant meal of the trip and overall an amazing experience. Mei Ling had done it again. South of Ciutat Vella, Valencia expands outward in a series of concentric rings separated by wide boulevards. The railroad lines coursing southward split modern Valencia down the middle. 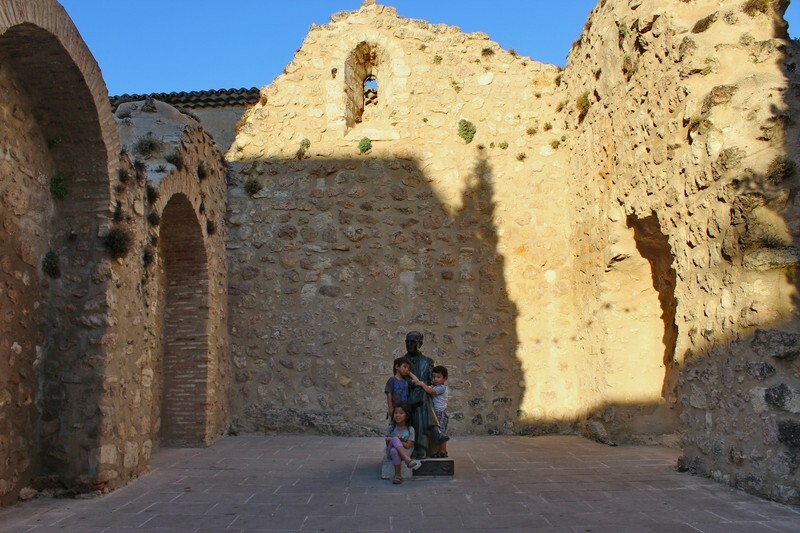 My research indicated there was little of interest to travelers in most of these modern, residential neighborhoods with the exception of a small area called Ruzafa (or Russafa in Valencian dialect). Ruzafa has become the hip, Bohemian neighborhood of Valencia with a heavy concentration of boutiques and cafes and it has its own covered market. We decided to start the day with breakfast in the market and explore the area. The market was much less busy than Mercat Central, but we found some interesting displays of wild mushrooms and seaweeds that were unlike anything we'd seen the previous day. Of course, the ubiquitous delis with every conceivable permutation of jamon and queso were around every corner. We eventually found the small food court where there was just one tapas stall. There was enough there to construct a meal along with some food we had bought in the market. We were obviously the only customers who weren't local, which was a nice change in milieu from the touristy atmosphere of Mercat Central. There were a few small, old streets around the market that gave way to wider avenues lined with well-maintained, colorful townhouses that were quintessentially European. It was a pleasant place to stroll but at mid-morning on a weekday there was a distinct lack of pedestrian traffic and energy. We had no interest in returning to Ciutat Vella, which meant that it was the perfect moment to embark on a day trip out of Valencia. 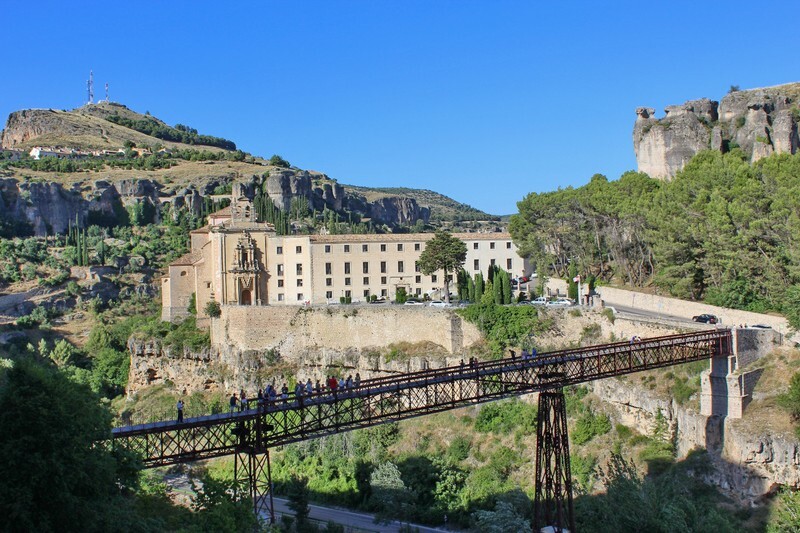 I had already selected the town and castle of Xàtiva as our destination if we had the time. The town was only 45 minutes south of Valencia, and the castle was supposed to be the most beautiful in the region. 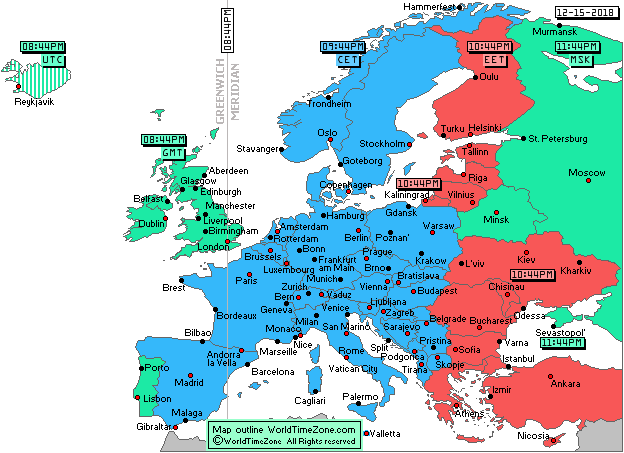 Valencia, of course, is also the name one of Spain's seventeen autonomous regions. The region occupies much of the Mediterranean coast with the city of Valencia near the center. Outside of the city of Valencia, the region gets little attention from travelers with the exception of the Costa Blanca resort area to the south. However, there are certainly hidden gems like Alicante and Peñiscola that we hope to explore when we eventually return to Valencia. After some initial misdirection from our GPS, we arrived at the sequence of sharp hairpin turns that ascends to Castell de Xàtiva. Once we were on foot, it was a fairly easy ascent up wide, shallow staircases to viewpoints from the ramparts of Castell Major. We didn't explore Castell Menor but we had beautiful views of it along with the medieval town beneath us. Outside of the old town was a peripheral layer of apartment blocks which gave way to warehouses and then fields that extended to a thin ridge of hills to the north. We decided to have lunch in the old town and found it nearly deserted of pedestrians, although there seemed to be plenty of vehicles passing through. Once we arrived at our restaurant, we found it surprisingly crowded. The hostess gave us a sorrowful look and gestured at the tables, where the diners showed no signs of preparing to leave despite having mostly finished their meals. After about twenty minutes we were seated and had a decent if unmemorable lunch. 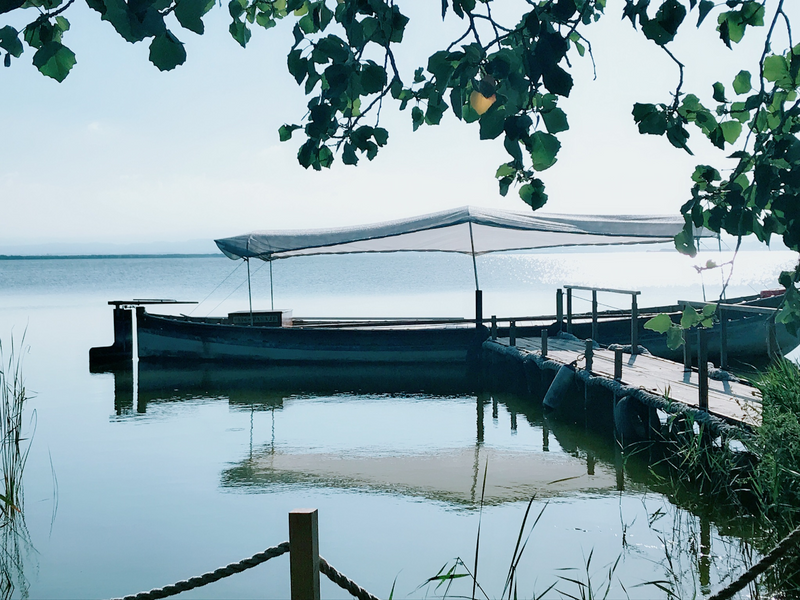 On the way back to Valencia we detoured briefly to Parc Natural De l'Albufera, a favorite weekend getaway for Valencianos. The park consists mainly of marshland surrounding a large freshwater lagoon, and some secluded beaches. The main activity aside from hiking and birdwatching is a boat ride on the lagoon. We found our way to the sleepy little town of El Palmar at the southern end of the isthmus between the lagoon and the ocean. The town is famous for its paella, but it was too early for any restaurants to be open. We drove across the isthmus keeping our eyes out for anyone offering boat rides, but I was inwardly relieved when we didn't spot anyone. It had already been a long day and we still had to find dinner. We arrived back in Valencia in time to experience another amazing feature of Jardín del Turia, the Parc Gulliver. This unique playground consists of a 70 meter three dimensional representation of Gulliver tied to the ground by the Lilliputians. His hair and clothes are covered with slides, ropes, and nets that can entertain dozens of kids at a time. The kids had an absolute blast, and fortunately they didn't notice the tumescent gargoyle overlooking the park entrance when we left. We thought we might find dinner at Mercat de Colón, a beautiful old market building between Jardín del Turia and Ciutat Vella. Inside we found a large selection of upscale boutiques as well as cafes crowded with Spaniards drinking lemonade and horchata, but nowhere that seemed likely to serve a substantial meal. We tried some overpriced sushi on the lower level, but finally gave up and searched online for a real restaurant in the area. We ended up at Panamera a couple of blocks to the south where we had a decent meal including the requisite Valencian paella as well as sangria. Our three days in Valencia absolutely flew by. We regretfully took our leave on the final morning and made a stop at the seaside neighborhood of El Cabanyal. One of the interesting things about Valencia is that unlike other major European coastal cities, the neighborhoods near the beach are residential and largely devoid of tourists. El Cabanyal had some pleasant-looking buildings, but didn't particularly stand out after all the beautiful areas of Valencia we'd already seen. The Mercat Cabanyal was the weakest of the three covered markets we'd visited in Valencia, although certainly adequate for the basics. From El Cabanyal, we drove to Valencia's famous Malvarrosa Beach. I had an idea that we might stop for lunch in one of the beach seafood restaurants, but Mei Ling went to scout a couple out and didn't find anything good to report. I was eager to get on the road, as we had a couple of stops on the way to Zaragoza, so we contented ourselves with a distant view of the beach from the road as we drove north out of Valencia. 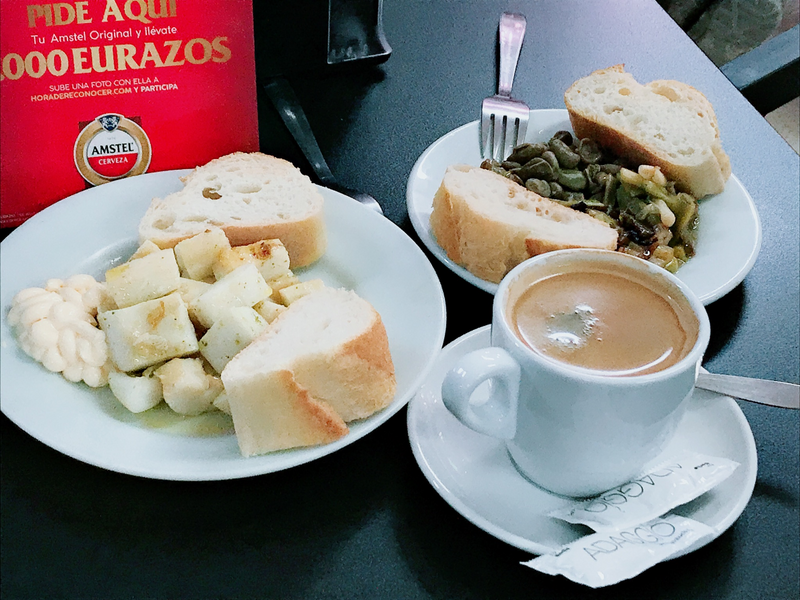 We felt the satisfaction of accomplishing everything we had planned for our stay in Valencia, but we had the distinct feeling there was still much more to discover. We decided that if we ever followed through on our plan to stay in a single city for a month to study Spanish and live like natives, it would be Valencia. If this entry has awakened an interest in Valencia, I strongly recommend taking a look at this blog. I already linked to a couple of the entries earlier. The authors spend three months in each city they write about and then move to a new one. It's the most comprehensive and helpful guide to Valencia that I've come across in my research, and I plan to read every word in their Istanbul section as well before we go there this spring. Spain's third largest city is nowhere near as well-known as the huge metropolises of Madrid and Barcelona, yet it has much to offer travelers that can't be found elsewhere in the country. I remembered the beauty and energy of the old town from my prior visit seventeen years earlier, and not much else. 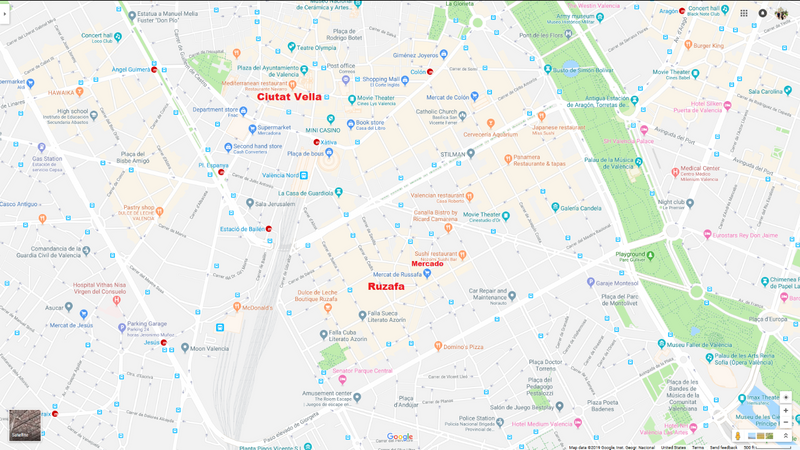 We'd carefully selected an Airbnb at the edge of the Ciutat Vella, close to the Mercat Central but not deep enough inside the historic district to make our arrival logistically difficult. As it was, we had our usual trouble locating the apartment but eventually coordinated with our host to find the special route that would bring our car to the entrance. I chose the simplest and most expensive option of parking the car in a public garage a block away, rather than trying to negotiate with the owner of a ramshackle private lot inside the Ciutat Vella. The Airbnb was a significant upgrade over the one in Cuenca, both in terms of space and air conditioning. There was also a kitchen one could move around in, which was an important consideration given that we were a hundred yards from the largest market in the city. We immediately set off to discover the Ciutat Vella. We walked northward on the western edge of the old town until we reached the Torres de Quart, an unusual-looking fortification that looks as though it was chopped in half by a giant cleaver. The tower is one of the few remnants of the wall that once encircled Valencia when the old town was the entire city. The flat, inner side of the tower is a complex display of arches and narrow staircases reminiscent of an Escher print. We turned inward to wander the narrow streets of the heavily graffitied ancient neighborhood. Despite the cobblestone streets, the area was not pedestrianized and I had to keep a close eye on the kids as many blocks had little in the way of sidewalks. Valencia is well-known for street art, and we were amazed by the sheer size of the pieces that covered the entire walls of some apartment buildings. The paintings stood out for their vibrant color and powerful, graphic imagery that was accentuated by the antiquated setting. We gravitated naturally to the Barrio del Carmen, the most bohemian and scenic part of the old town, where we fortuitously encountered a quite large and noisy parade. Soon afterward we lucked upon an excellent restaurant where we had squid ink paella and other dishes with a view of the amazing Baroque facade of Parroquia de la Santísima Cruz. Even the smell of urine wafting in from Plaza del Carmen couldn't dampen our spirits as we enjoyed our al fresco dinner in the energetic square. After dinner we took a different route back towards the Airbnb through the gathering dusk. We soon encountered the other remaining fortification of the old wall, Torres de Serranos, at the eastern edge of Barrio del Carmen. The major buildings were illuminated by streetlights that reflected off the paved squares to give the walls an attractive golden hue. At this time, people were beginning to flood into the old town and the energy level was palpable. We were almost home when we heard the loud music in the opposite direction from the Airbnb. After some brief debate, we decided it was still too early in the trip to turn down potential adventures. WE turned and walked in the direction of the music, and after a block found ourselves at Plaza del Ayuntamiento. the home of the architecturally magnificent Town Hall and Central Post Office. On this evening , it was the site of a cultural fair and a band was playing on a ground level stage. Some of the people dancing were Frenchmen celebrating their country's world cup victory earlier that day. It was an entertaining scene in a breathtaking setting, and we were glad we'd taken the extra hour to experience it. When we finally returned home, we felt like we'd squeezed everything we could out of our first full day on the road trip. Even though Monday isn't the best day for markets in Southern Europe, we attacked Mercat Central as soon as we were able to get out of the apartment. You may have noticed the word "mercat" for market instead of the Spanish "mercado". Valencia claims to have its own language, although many consider it indistinguishable from Catalan. It's probably not advisable to say that in Valencia, however. The market has an unusually elaborate Art Nouveau exterior with Moorish designs and a cathedral-like dome. The market was large and busy enough that it seemed to be in full swing on a Monday, with the exception of the seafood section. 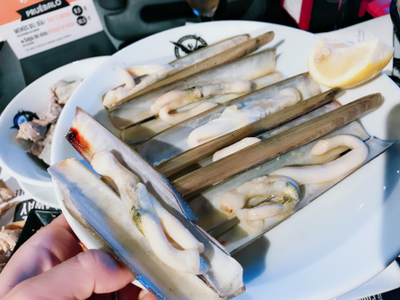 Most of the stalls selling freshly-caught fish were closed, but there was still a good selection of shellfish including percebes (goose barnacles), one of our favorites. There was a good variety of produce as well as a decent amount of gourmet offerings. One thing that epitomizes Spain for me is the sight of endless rows of jamón hanging from the ceiling of a market deli. After whetting our appetites walking around the market, we were thrilled to find a busy tapas restaurant within the market where we enjoyed a solid brunch. The last thing we did before leaving the market was buy a small black truffle, despite the fact that it was well out of season. For the relatively low price, we decided we might as well give it a shot. 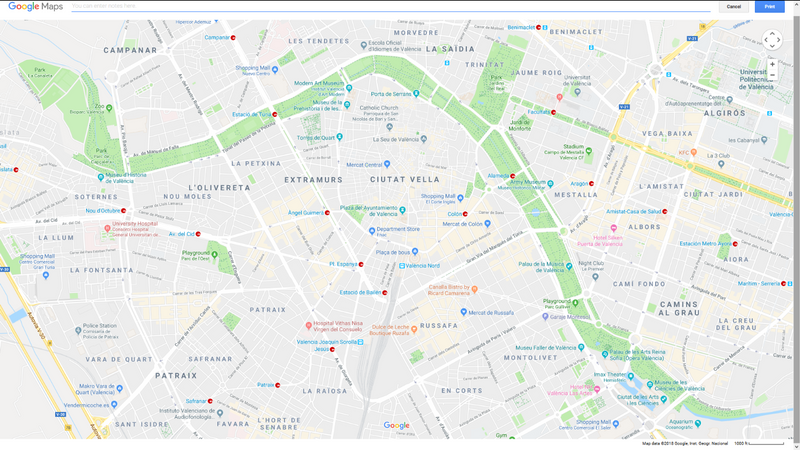 Once we had explored every corner of Mercat Central, we returned to the parking garage and drove to the Valencia Aquarium at the southern end of Jardín del Turia. Turia is one of the most unique urban parks we've encountered on our travels, the end product of a huge engineering project. The space now occupied by the park was once the site of the Turia river, which would often overflow its banks and flood the surrounding neighborhood. In the middle of the 20th century, the Turia river was diverted south of the city center and the dry riverbed was converted into parkland. Jardín del Turia looks just like a snake slithering over a large rock, the Ciutat Vella. The Oceanografic Aquarium sits at the very tail end of the snake. It's Europe's largest aquarium by square footage, but I suspect they're counting the enormous cafeterias, shallow ponds, and sizable expanses of concrete walkways with no sea life in sight. The layout of the aquarium is very inefficient, and we were surprised by how little there actually was to see. When we arrived at the dolphin show an attendant told me it was just about to begin, and then we waited 45 minutes before there was any sign of dolphins. Once we finished with that, we were so tired of the place that we left without seeing the sharks and beluga whales which were probably the top highlight. Overall the experience fell far short of the Lisbon aquarium, regardless of square footage. Just north of the aquarium are the enormous, futuristic structures of the Ciudad de las Artes y las Ciencias. 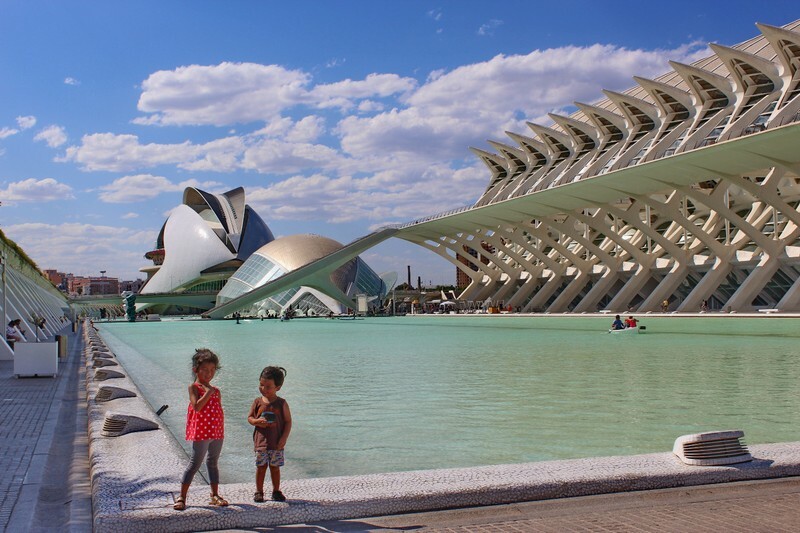 The complex contains a science museum, a planetarium, an IMAX theater, and an opera hall among other facilities in three separate buildings that were designed by Valencia's native son Santiago Calatrava. One of the coolest things about the buildings is that they look completely different when viewed from different angles and heights. There are also three large rectangular ponds within the complex in which one can go rowing, waterbiking, or even waterballing. What's waterballing? Cleo and Spenser are doing it in the video at the bottom. Ian sadly fell asleep and missed all the fun. One thing that was in short supply at Ciudad de las Artes y las Ciencias was shade. We held out as long as we could but eventually the heat sapped our energy and we retired back to the old town for dinner. The touristic center of Valencia is Plaza de la Virgen, a wide open square lined with cafes and restaurants facing the stunning Cathedral de Santa Maria and the Fuente del Turia. This was a good spot to let the kids run around for a bit and soak up some of the pure energy of the old city. This time we didn't find an impromptu late night party and we got to sleep relatively early.